Or so Sidge has been taught. Born the sole bugman in an isolated human temple, his many lenses have left little unobserved. But things aren’t as they appear. Only when he embarks on his first pilgrimage does Sidge begin to understand the truth. His first trip outside the Sheath, Sidge wrestles with otherworldly encounters, a society unwilling to accept him, and growing feelings for a streetwise woman named Kaaliya. All of these seek to distract him from finally learning to channel the power of the Mighty Dragon, Vasheru so that he may one day ascend to the rank of Cloud Born. 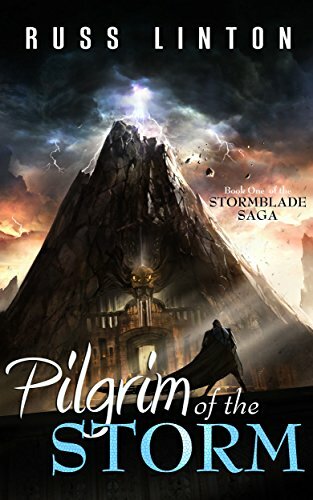 But a dire prophecy threatens to change the seat of power in the Stormblade Temple. Gohala, the most likely successor, believes Sidge’s presence to be an abomination and his mentor, Izhar, a heretic. Ultimately, the journey will not only test Sidge’s faith but his sense of identity as he and Izhar race to ensure their beloved temple does not fall into the wrong hands. Click the Buy Now button to join Sidge on his Pilgrimage today!